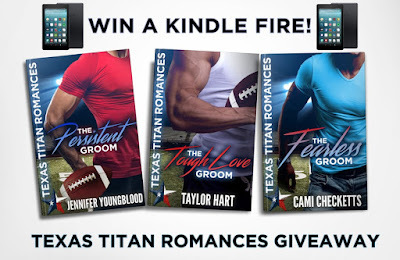 Taylor Hart, Jennifer Youngblood, and I wanted to say thank you for your amazing support of the Texas Titan Romances. We are giving away a Kindle Fire to express our gratitude. To enter click on the rafflecopter below. Thank you so much I'm signing up everywhere you are thank you again . I well spread the word to follow you your a amazing author!